ABOUT THE BOOK “Why are all the female characters so boring?” my eleven year old daughter asked me, peering up through her thick glasses. We had just seen yet another animated movie. “No one is ironic, at all. They are all pretty and sweet. Blech.” Jane Austen clearly shared my daughter's lament, and spent her life writing novels that subverted and sometimes outright lampooned the popular literary tropes of her time. 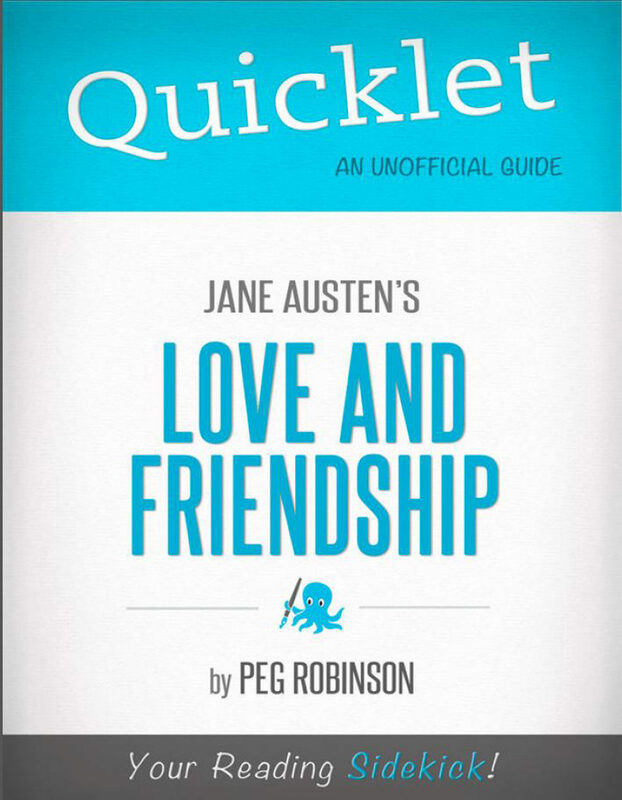 Love and Friendship is one of Austen's earliest works, written when the author was only 14, and is penned with broadest literary strokes. The series of letters from the hapless Laura to the young Marianne creates a story that can be described, as her nephew J. E. Austen Leigh puts it, as “a burlesque.” Like most girls, I was first introduced to Jane Austen when Pride and Prejudice was assigned by my tenth grade English teacher. When I read “it is a truth universally acknowledged, that a single man in possession of a good fortune, must be in want of a wife.” I took it as a truth universally acknowledged. Life's experiences have taught me to appreciate the rich irony and intelligence with which Austen crafted the story of the Bennett sisters, and the story of Love and Friendship of poor Laura and her crowd. The irony is less elegant, less subtle, but the intelligence is fierce and mordant and the prose is a delight. EXCERPT FROM THE BOOK In the fifth letter, Laura's family is roused by the knocking of a stranger and his servant. After much debate about the significance of the rapping on the door, the strangers are admitted into the house. When Laura lays eyes on the gentleman, her “natural sensibility (that) had already been greatly affected by the sufferings of the unfortunate stranger and no sooner did I first behold him, than I felt that on him the happiness or Misery of my future Life must depend.” This “noble youth” informs Laura that his name is Edward Lindsay, though Laura decides to conceal the name by referring to him as Talbot.